This is our brand new design and we just know it will be a hit! 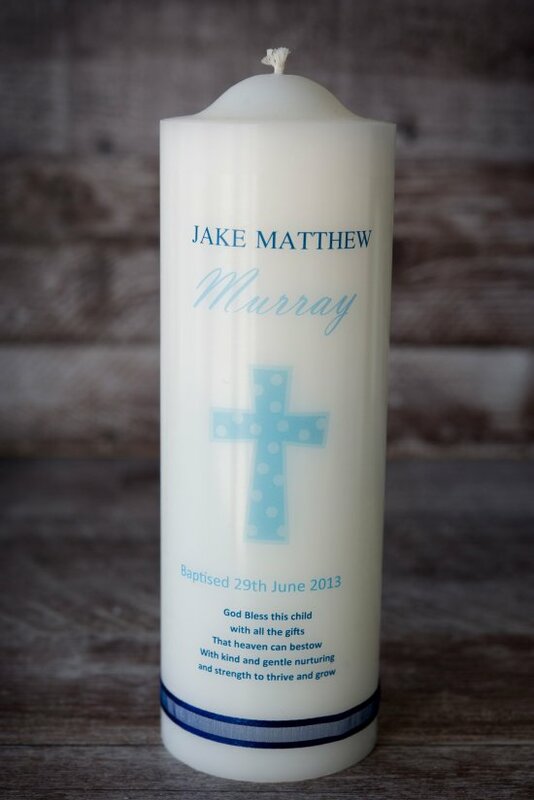 The candle has a beautiful cross in the centre with your child's name at the top and date of Baptism/Christening below the cross. We have a verse at the bottom that reads "God bless this child with all the gifts that heaven can bestow, with kind and gentle nurturing and strength to thrive and grow". You can have the godparent names on the back of the candle if you wish.